Heidolph Synthesis 1 Liquid Phase Parallel Synthesizer 16x 25mL Reaction Vessel . New Life Scientific, Inc. This Heidolph Synthesis-1's heating and vibrating features are confirmed functional. Cosmetically, it is in fair condition with obvious signs of wear, including paint blemishes. There is no indication that the specks or caked in dust has affected functionality. 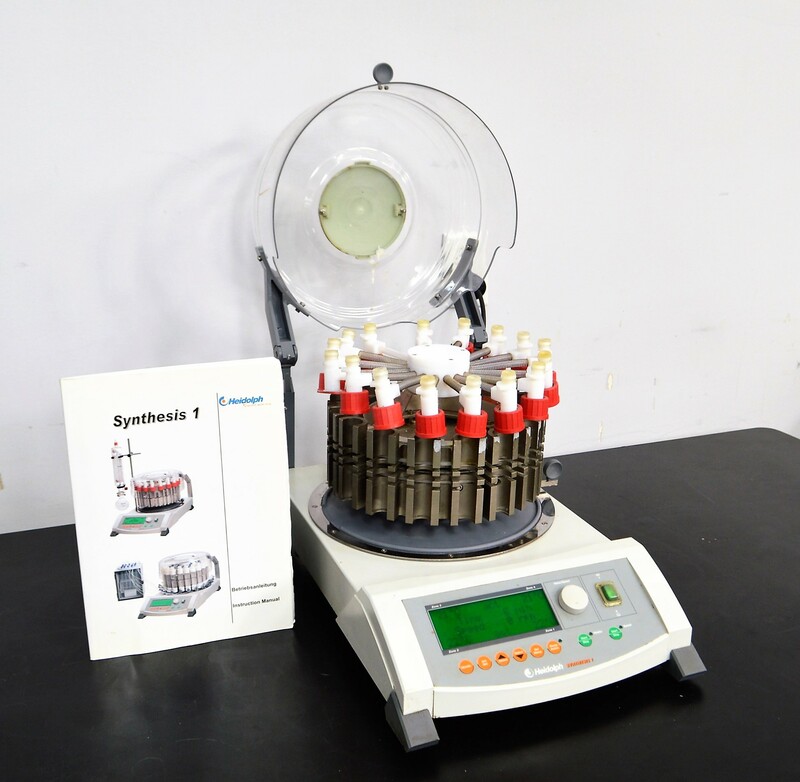 The Sythesis-1 provides a multi-tube heated circular reaction block that is controlled (temperature / speed), quickly accessed, and features programmable settings. The technician tested this product's ability to both vibrate and heat. An external chiller is required to cool the reaction block, but the heating element was confirmed to respond. The keypad is functional and the display features the temperature readout in each 'zone' with one setting for time and the vibration frequency. One of the red GL-threaded screw caps is missing and part number appears to be 23-30-01-03-72; please reference the manual for more information.